Sineath is SMCS Risk’s Chief Accountant with over 5 years experience working with companies operating in Cambodia. She is adept in budget forecasting, variance, analysis, taxation & reporting. 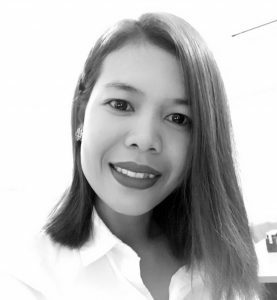 Prior to joining SMCS Risk, Sineath was the Accountant for a large American Company who was involved in the construction and upgrade to the Phnom Penh International Airport. In her spare time, Sineath is very active in community projects, where she organises the donation of food, clothing and medial supplies to some of the poorer communities in remote Cambodia. Sineath holds a Bachelors Degree in Accounting and Finance.